Posted on October 1, 2013 . 48 Comments. If strength and conditioning are equally important to you, the following weekly kettlebell training template will serve you well. 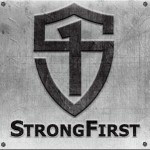 StrongFirst VP of Marketing and Team Leader, Nikki Shlosser. Her bent press is 97 pounds. On Mondays and Thursdays, do presses, front squats, weighted pull-ups, weighted pistols, and other low rep grinds. Heavy low rep quick lifts—e.g. double kettlebell swings, snatches, or jerks—belong here as well. In this context “heavy” means heavier than 10RM. On Mondays and Thursdays, wait until your heart rate returns to normal before hitting your next set. Because power loves rest. For very heavy or hard sets, use Marty Gallagher’s guideline and take another minute after your pulse has normalized. Heavy ab work belongs on the strength days as well: quarter get-ups with a big kettlebell, hanging leg raises, hard style sit-ups, etc. Tuesdays and Fridays are all about high rep ballistics: swings, snatches, cleans, and jerks. “High rep” in the context of the StrongFirst training system means 10-20. The conditioning effect will come from keeping your rest intervals brief. Drive your heart rate up and keep it there. James Breese, SFG Team Leader, and Fabio Zonin, Master SFG. 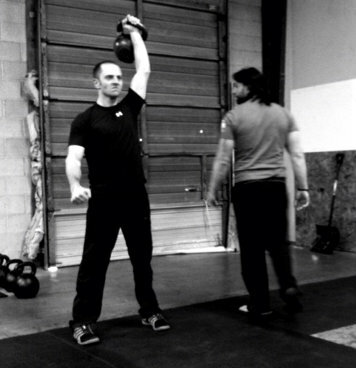 • 20 minutes of free style practice with one light kettlebell without setting it down. E.g. 2 goblet squats to 10 two-handed swings to 5 jerks per arm to 1 arm bar per arm to 5 windmills per arm to 10 snatches per arm to 3 overhead squats per side to 5 Sots presses per side to 10 two-handed swings to 5 bent press singles per arm, etc. Keep moving, stay crisp, and spread the fatigue all over. Power and conditioning to you! Would you mind clarifying the set-rep protocols? If you were to eat at maintenance or slightly under, keep hittimg your protein each day then a training plan like this would help. But, essentially, you need to train for hypertrophy. This is called body recomposition, where you build lean mass without gaining, and even losing, body fat to ‘tone’ up. Would this work to get rid of skinny fat? Lost 45lbs this year due to toxic mold exposure. I am now at 132 in a sz. 3\4 but you won’t catch me naked or in a swim suit. I have lost the fullness & athletic look I’ve had all my life. I want to keep the weight off but tone & gain muscle. Gaining a little is fine as long as its muscle! Kettlebell training is rather famous for its potential to optimize body composition in this manner… Just make sure you aren’t burning up your muscle (i.e., getting proper nutrition and recovery) in the process. I like the idea of the last example, but would that not be to much volume for upper body pressing? Because I see 3 pressing movements but only one pulling movement for upper body? Im doing Krav Maga once a week and i like to punch the heavy bag once a week. 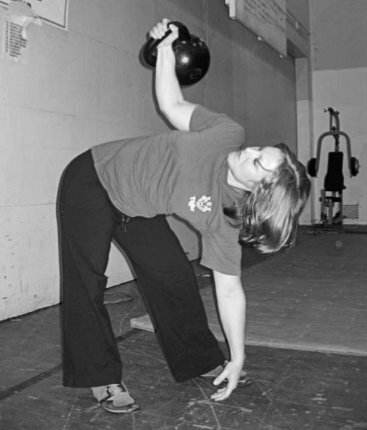 Should i subsitute the kettlebell condioning days for that, or would you still keep them? Hi Pavel, great article, thanks. One question, how would you organize this for a grappler that has 2 hard session per week on Tuesday and Thursday? Move the conditioning on Wednesday and Saturday or switch the days and do the strength work on grappling days? Pavel, I’m 41 and I’m training now 2-3 times a week S&S already with 24 kg KB (bought your book as it came out, read it and feel now great with courage to do less) preparing for a tough mudder on September the 6th in Germany. I run also two times a week just to keep my running form for these 18 km in September. The question is: can I use the S&S training instead of the KB days you describe in the 3rd template. I think this template will hit my needs best of all. Thank you for the great work you do! Pavel, thanks for the article! If you have only two sessions per week, would you recommend doing 1+1 or 2 strength sessions with conditioning part at the end (let’s say the last 10 – 15 minutes?). Michal, yes, but that is less than optimal. Thanks,Pavel. You answered a lot of questions here. Especially how to mix in my bodyweight moves with the KBs. Very appreciated! How do you make progress? By adding reps or sets? When to move to bigger KBs? Have you ever thought about creating a exercise workout chart with these multiple format/regime? I know it can be pretty individualized, but I think it would be very useful. Thank you for sharing. Could you please outline here, how have you used this “2+2” concept with operators? S, exactly the same. Exercises: presses, weighted pullups, pistols; swings/snatches, double jerks. How about operator’s endurance work (runs, rucks, swims) then with this template? D1: Strength – then later “light” duration aerobic activity, tempo training etc. Often volume with your KB’s needs to be adjusted downward to allow recovery without sacrificing too much of the aerobic endurance base. If more recovery is needed move to a 9 day cycle by adding another rest day (usually after D2). Hope this points you in the right direction. Whould it be possible to add a day of easy jogging for skill training to this tamplate? If so, where would you put it? thank you for your advice chief! Sir, can you give short advice about operators endurance work with this routine? If conditioning and weight loss are the objectives, would you recommend this format. Rick, it is not a specialization conditioning and weightloss template—although it does address both. But if you need to lose weight quickly, you would be better off doing swings 3-4 times a week. You have changed my thinking and I thank you! I used to jump around all over without a plan. Completed the ETK…. Plan on trying this template to gain strength, some hypertrophy too, with minimal fat gain. Swings have become a routine and I havent seen a chiropractor in over a year! I forgot to address the weight loss… so when I need it I want to archive this conversation. By swings, what rep and set or ladder scheme is recommended? Rick, Program Minimum to start with, then keep adding. I was wondering the same thing, Jeff and still do not understand this. Pavel, can you please explain it? Gianna, you do 2 reps, 3 reps, 5 reps, then start over: 2, 3, 5. Thank you for sharing! Simple and furious. This is for later. Now I am on my ETK Calvary road. Another big thank (money has already been sent) for the book! So if you don’t mind, the question will be about ETK – can I take with my 17-year old son? Thanks, Ugis! Pardon me, I did not understand the question. Did you ask whether your son should do the ETK program? Exactly Pavel and sorry for my English! Brilliant plan in its simplicity, despite the lack of time for training gear I’m in better shape than when I was in college and have lot of time form trening but not correct. Pozdrowienia z Polski!!! This is terrific. Thanks for making it so simple and clear without fluff. Just a question on the conditioning training: is there a point of diminishing returns for reducing the rest intervals? 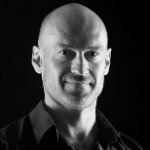 Put otherwise, when is the point where your conditioning will improve more if you move up to a heavier kettlebell instead of reducing the rest interval? Joel, it is not a question that can be answered simply; “conditioning” is an umbrella term for many different types of endurance. For general conditioning, Rif has an excellent guideline—once you can comfortably do your swings with 1:1 work to rest ratio, move up a bell size. For power endurance the ratio can be as long as 1:5. I am doing something in this style, 2 conditioning days (kette and crawling) plus 2 strength days (kette and bodyweight) and the rest days in very low intensity and volume movements that covers all basic human movements. After this post is much more clearer for me, thank You Pavel. Fantastic! A simple focus on what matters and nothing extra! Just one quick question Pavel. What are your thoughts on quick finishers immediately post strength work (6 x 50m sprints, bike or rowing sprints)? Carl, not a fan for a number of reasons. what are your reason sir ? Frank, conflicting adaptation demands. Research shows that doing heavy endurance work following power, strength, or hypertrophy work compromises the results of the first session. See Easy Strength for details. Now THIS is a top-notch program! I think I’ve learned more about programming just by reading your blog posts than just about all the other sources I’ve looked at combined, so thanks. But here’s a question: if someone wants their conditioning to be, say, on the bike, in the water, or on the road, how do you program that? Is it the same basic idea or do things change a bit? Aleks, the template will remain the same. Keep in mind that it is not an optimal template for hypertrophy: endurance loads the day after put a hamper on it. Fine for neural strength though. I find this idea and system pretty cool. Just curious Pavel if your press of choice was single Kettlebell clean and press. I Would you build up your Reps using the ROP ladders system, obviously it wouldnt be over 3 days so instead of Light medium and Heavy days. Over two days maybe a light and Heavy day for the Monday and Thursday? And progressively building up your rugs and ladders but over 2 days but not 3? Would that work? If not what would be the ideal system for progression over two single press sessions? Thanks! Aaron, it can be any press that has proven to work. Just drop the light day for the ROP press plan. Hang on? Ive been doing this format for six months already, lol. Ok, since I’ve been trying to stick to just a few exercises done well I like this. I really need to include more movement in my training, and I see how I can do that with some of those plans. Especially doing kettlebells and bodyweight only. Thanks Pavel!! !